Happy Monday ladies! Todays look is from part of our road trip two weeks ago. Yes, I am still working on a travel post of all the places we visited on our road trip and hopefully it will not take me months. 🙂 So many great places from the New England area of the U.S. One of our stops on the road trip was Maine. It was so beautiful and it is on my list of places to return later. 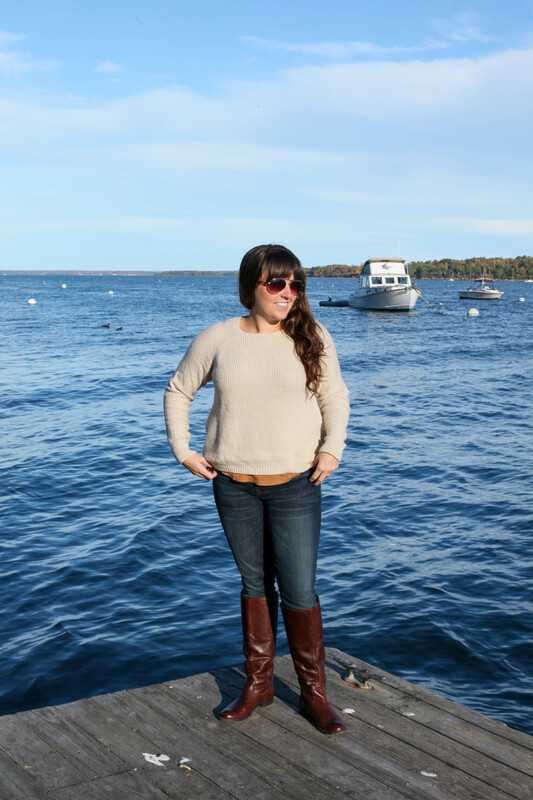 While we spent two days in Maine, this was my exploring outfit and perfect for adventuring around the coast of Maine. 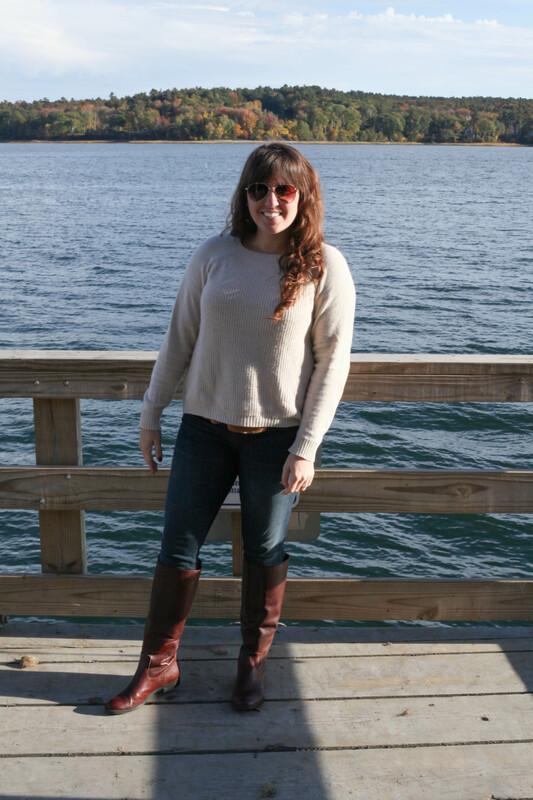 Tall riding boots are always a go to when I am traveling and exploring new outdoor areas. 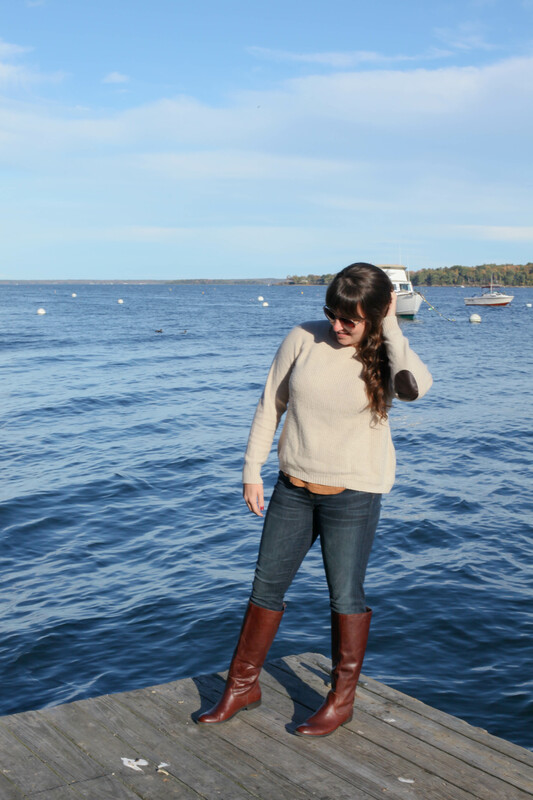 A pair of denim, which I got on sale for under $30, and a tan sweater with elbow patches are an easy and another go to look for Fall adventures. This location was the most calm and peaceful view. The sun was setting, the weather was perfect and the view was beyond what words could describe. 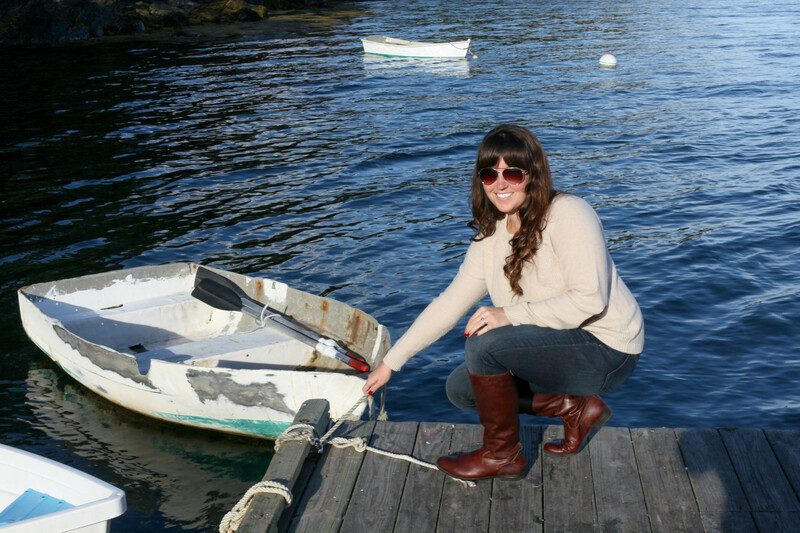 This little row boat immediately took me to the tiny boat scene on “The Notebook”. Anyone else think the same? 🙂 If you have the chance to adventure or travel to new places, do it. Traveling the world is a dream of mine. I yearn for it. I crave it. If I had it my way, I would take a big trip every third month of the year, making four trips per year. Lets face it. I have to work. I don’t get much time off work and living on an average budget will not get me 4 international vacations. 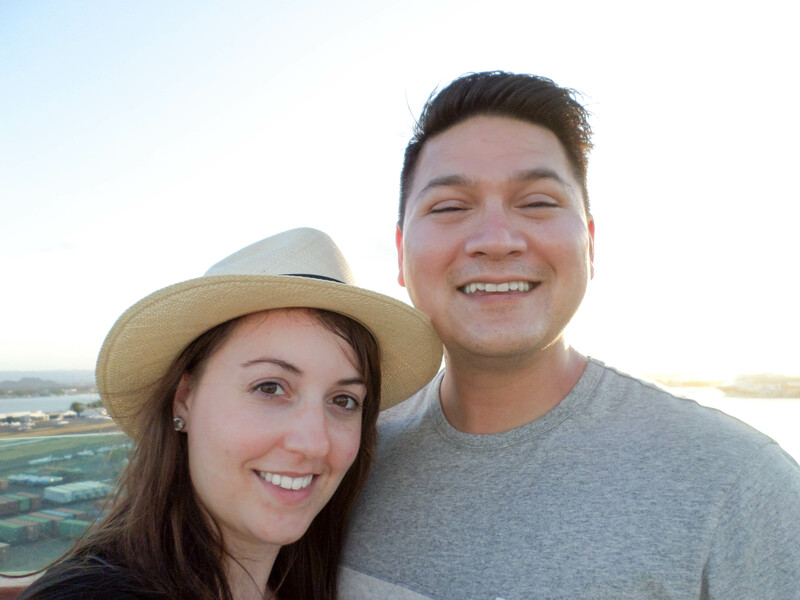 Each year my husband and I work for the opportunity to adventure to new destinations. The world is full of so many amazing people, cultures and landscapes. Traveling to me means more than just spending a week on a beach with our feet in the sand and sunshine on our skin. Sure, I enjoy tropical temperatures, but I enjoy emerging myself in the culture and people of these places even more. That is exactly what we did for nine days while exploring multiple islands in the Caribbean. 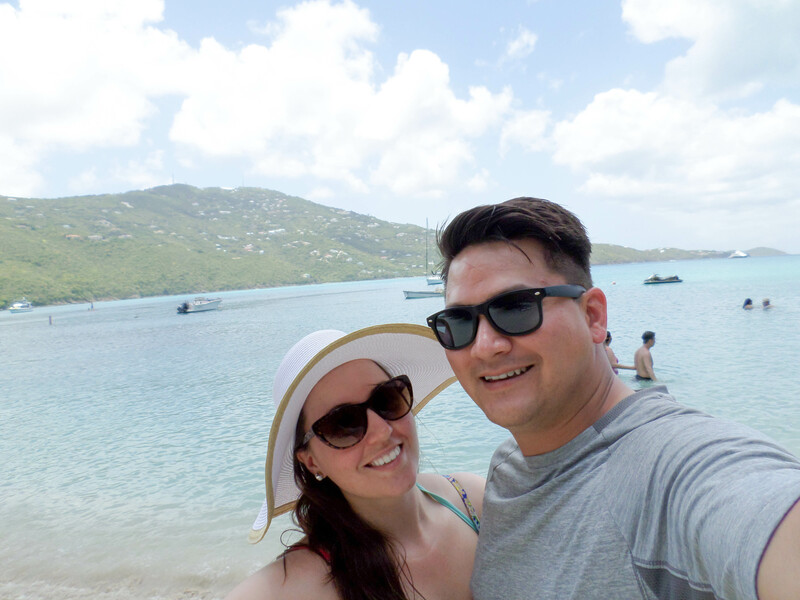 If you haven’t read about our first trip to the Caribbean during our Honeymoon a year ago, you can read it here. 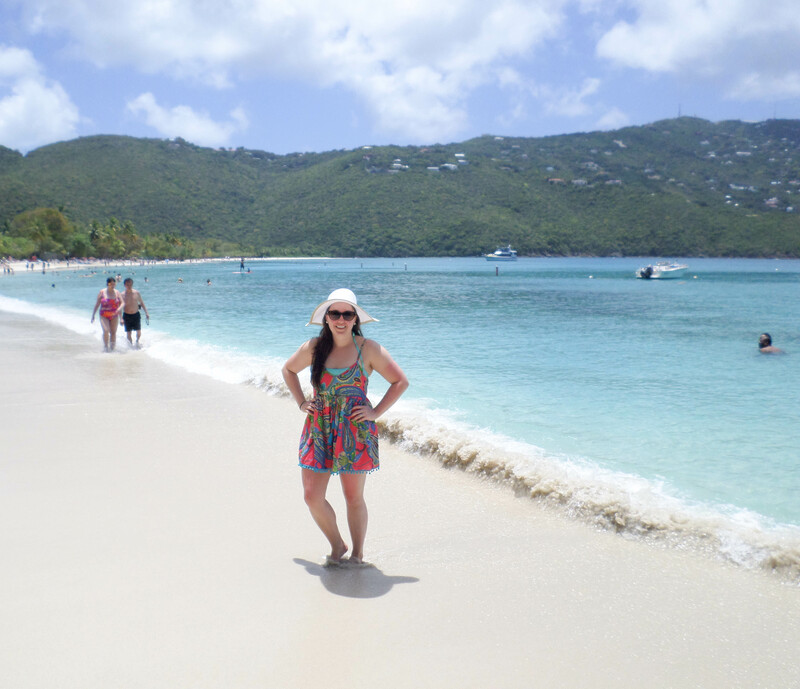 This time around, we went to a few different islands in the more southern Caribbean, almost to South America! 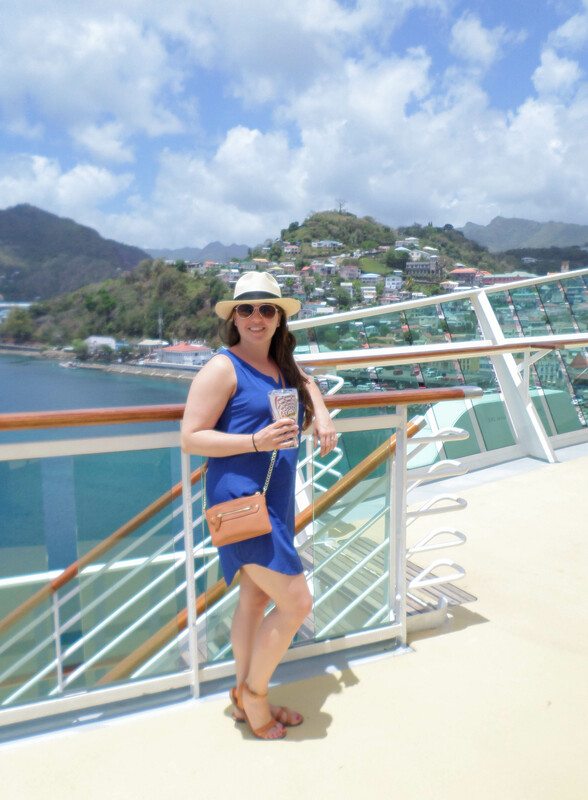 Destinations we visited; Puerto Rico, St Thomas, St Croix, St Lucia, St Johns, and Grenada. Stick around to find out some great places you should put on your bucket list! Sorry for the lack of quality photos, we used our point and shoot camera most of the time and slacked on taking photos. We did take lots of video with the Go Pro. 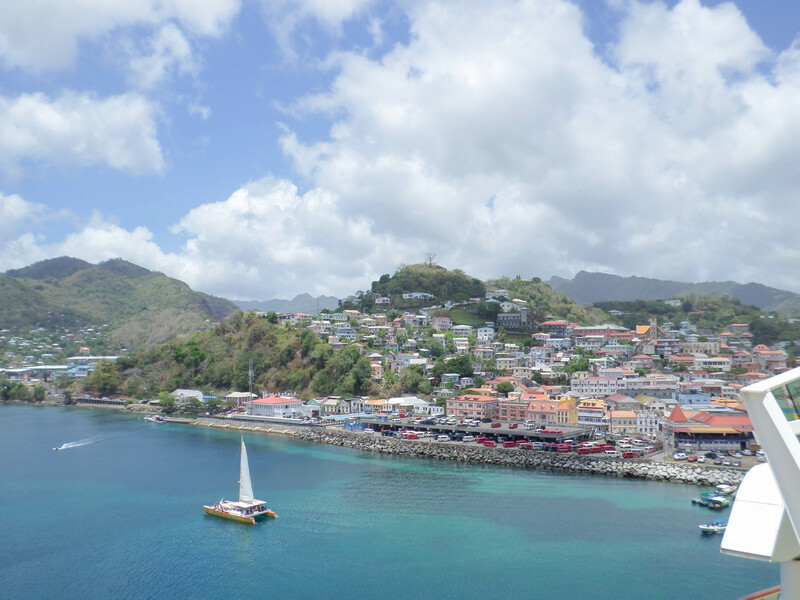 Saint Lucia is a beautiful, yet rainy place. No worries, it clears up in no time. I only have one photo since we used the Go Pro most of our trip. Plenty of video of our snorkeling adventure in St Lucia. We also learned my husband gets very claustrophobic snorkeling! That was a story in itself. We took a boat ride to our snorkeling site on the other side of the island. 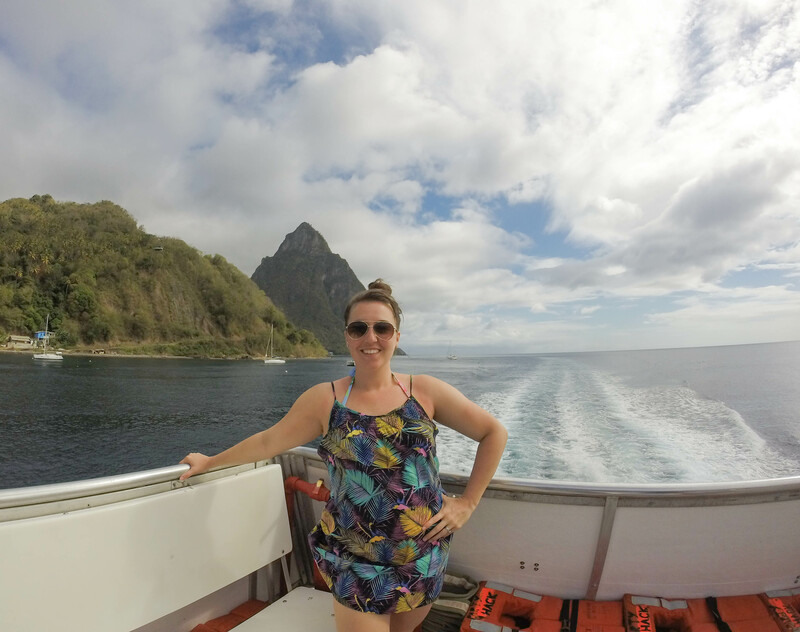 Take a look at the Pitons in the water behind me. 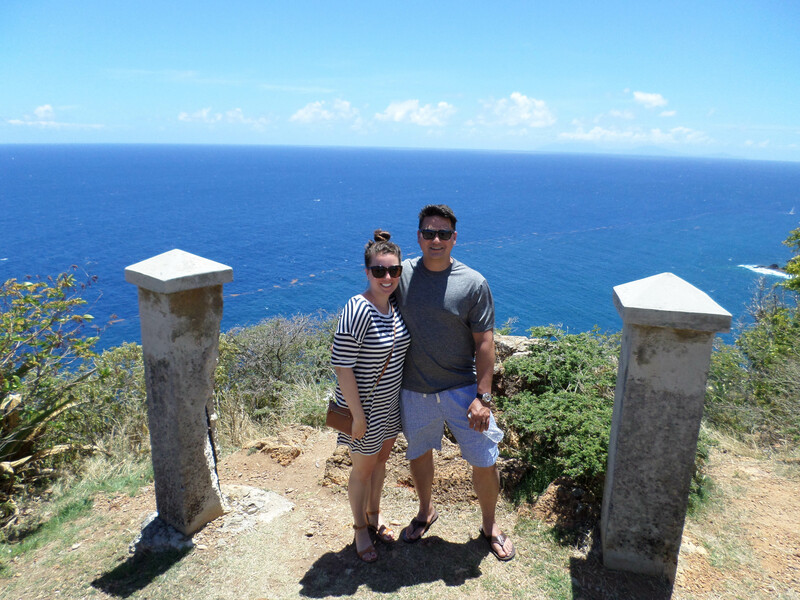 Our last time on the island, we went zip lining and it was amazing as well. 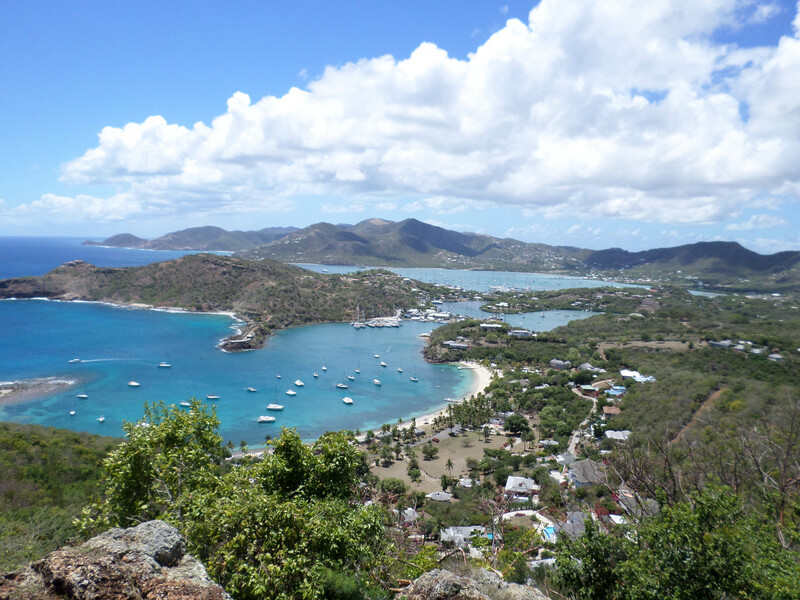 Welcome to St John (Antigua)! 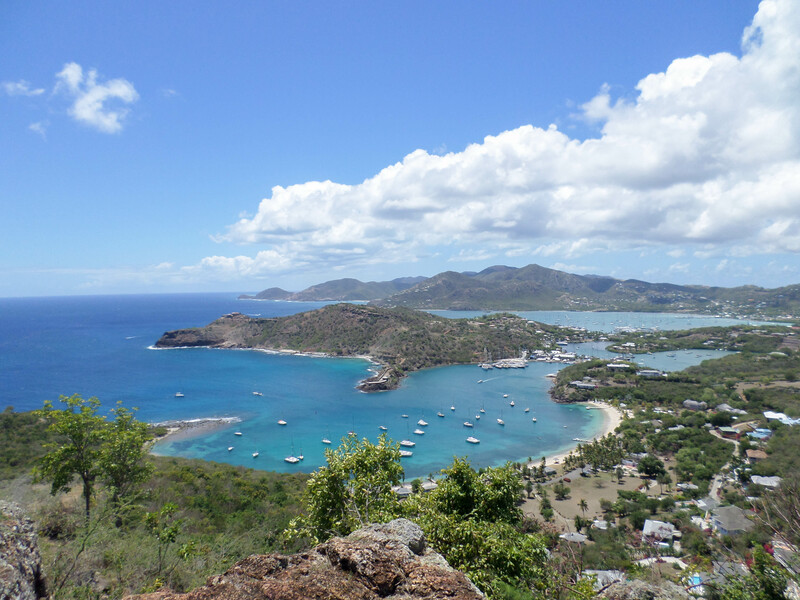 We took the tourist route here and decided to take a couple of hours and explore the entire island. It was amazing!! We ended up getting a private tour, just my husband and I with our tour guide because no one else was needing a tour at that time. Bus all to ourselves! Our guide helped emerge us in the culture and gave a world of knowledge all over the island. Such a kind soul with so much pride in what he does to provide for his family. Learning about the islands education, infrastructure, beaches, economy, agriculture, etc was by far one of our favorite moments of the trip. My husband and I really enjoy learning about history and cultures. We saw many children walking home from school. Fun fact, the school age children each wear a color uniform based on which village they live in. Lets you know that child is from village “a”. I thought that was kind of cool. Our tour guide took us to the top of this historical site that was truly breath taking. To look out at such beautiful views and breathe in such fresh air was really just a moment I cannot describe. Next stop, Grenada! This was our most southern point on the cruise which is very close to South America. While visiting, we went clear bottom kayaking in the ocean. I emphasize ocean because it was one hell of a workout. We woke up at 7 am and we all know this lady is NOT a morning person. At one point we were paddling and not moving since we were going against the current. On the upside, I have lots of video with the Go Pro under the water, plus great ‘bonding’ time with my spouse. haha. I laugh because it was a two person kayak and we were not a great team trying to paddle our hearts out in the great big ocean. Saw lots of coral while kayaking. Fun fact from Grenada: The day we were on the island, a huge cricket match was going on! If you look at the red ‘box’ like things above, they are TONS of taxis to take people to the cricket match. The cricket stadium is in the far left of this photo above, which we past in order to get to/from our kayaking location. Back to Puerto Rico! We flew in and out of San Juan. 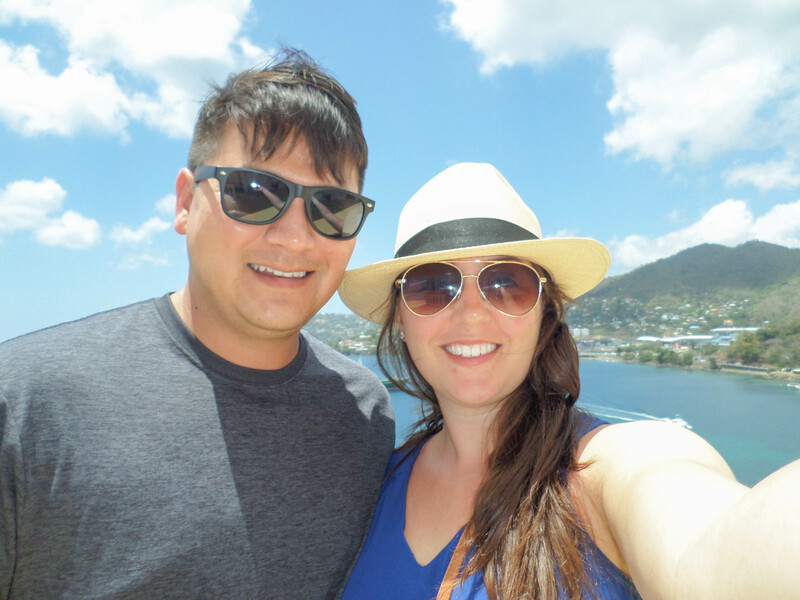 Before we left on our cruise we spent two days exploring. 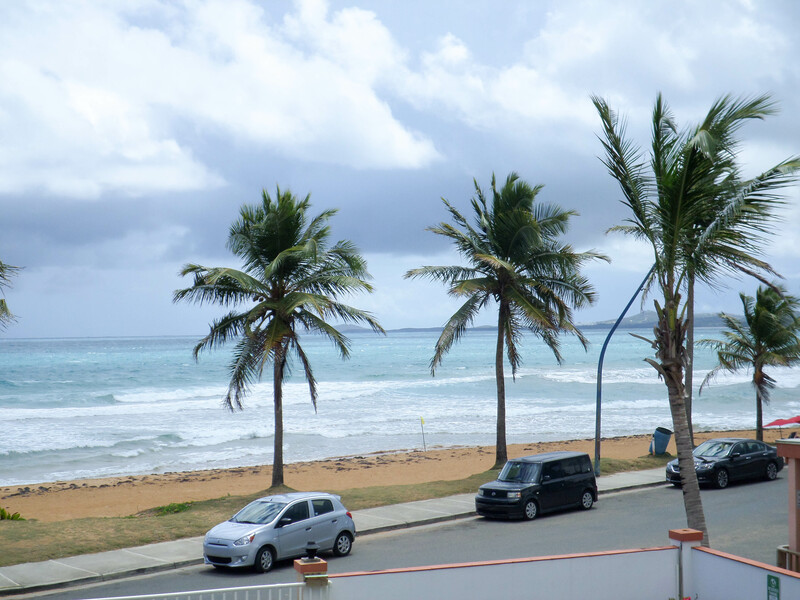 If you remember the last time we were in Puerto Rico, we did not adventure too far from San Juan. (see here) This time we stayed in a small town about 45 minutes outside the “big city”. The beach view was the first thing we saw when waking up. Yes please! We stayed in a cute little Ma and Pa kind of place. 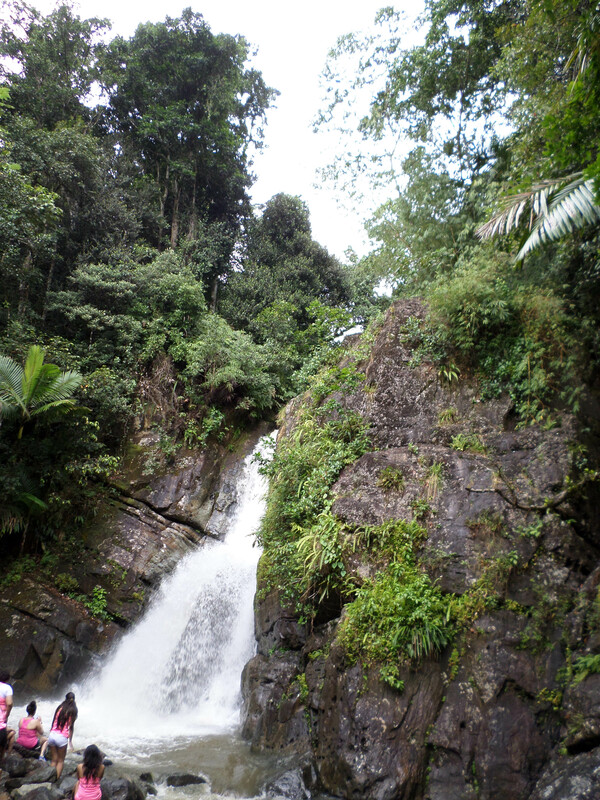 Then, we took a whole day to explore the rainforest. We had been wanting to go to the rainforest since we left last time. Beautiful waterfalls and living bamboo! While hiking into the rainforest we even got caught in the rain! Until next time my sweet travel partners! 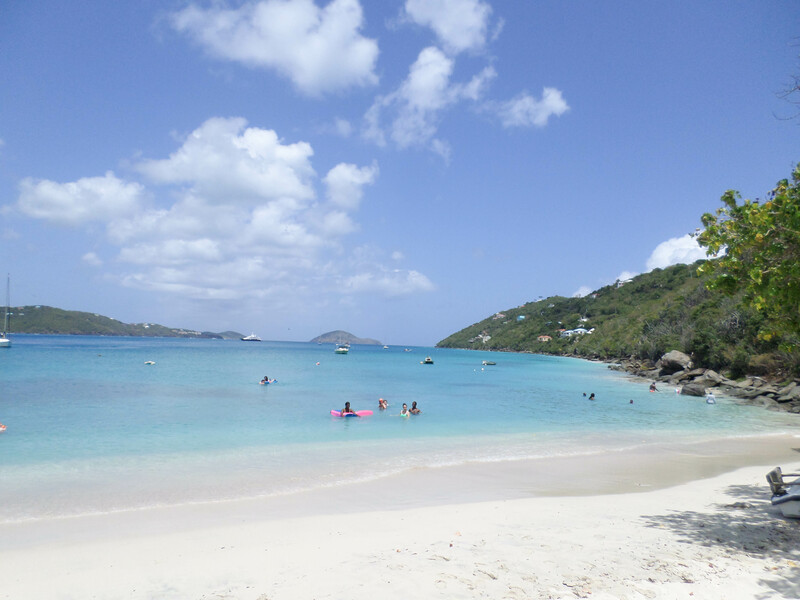 Again, sorry for the lack of photos from the other islands we visited. 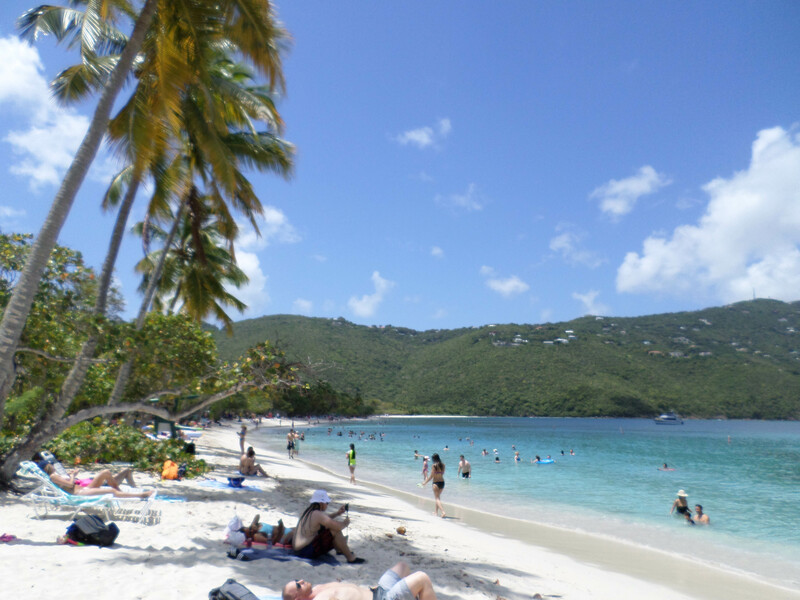 St Croix, I have no photos of this location. Insert sad face! I hope you enjoyed the views and will one day travel to one or all of these amazing places. 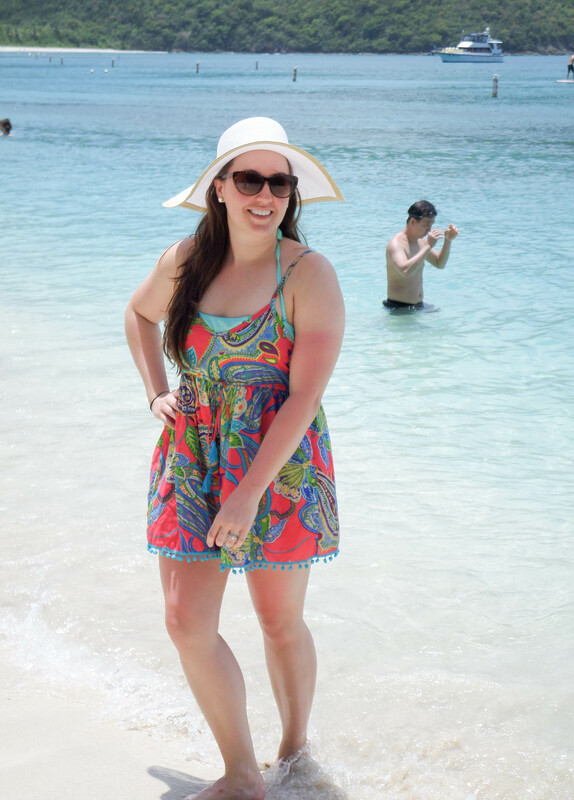 Head over to my Facebook page here to see a video of an amazing beach in Puerto Rico!!! 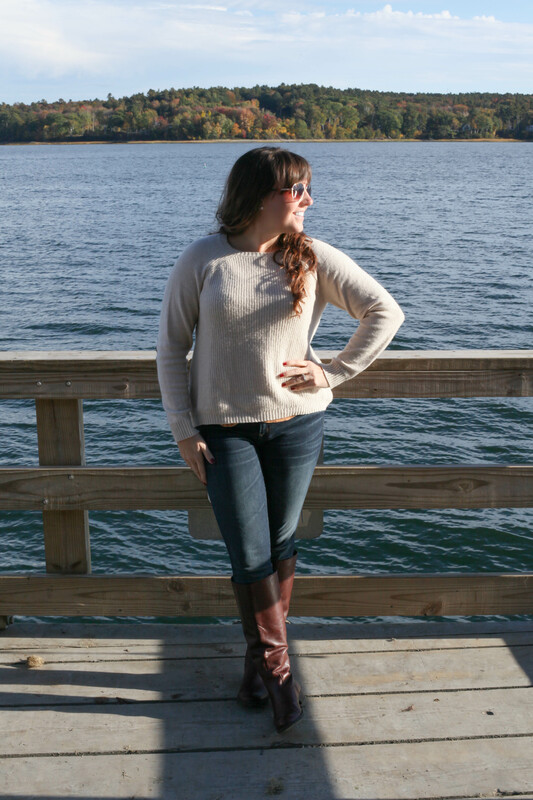 With the extremely cold temps around here, I was not able to go outside today to do an outfit shoot. Sad face! 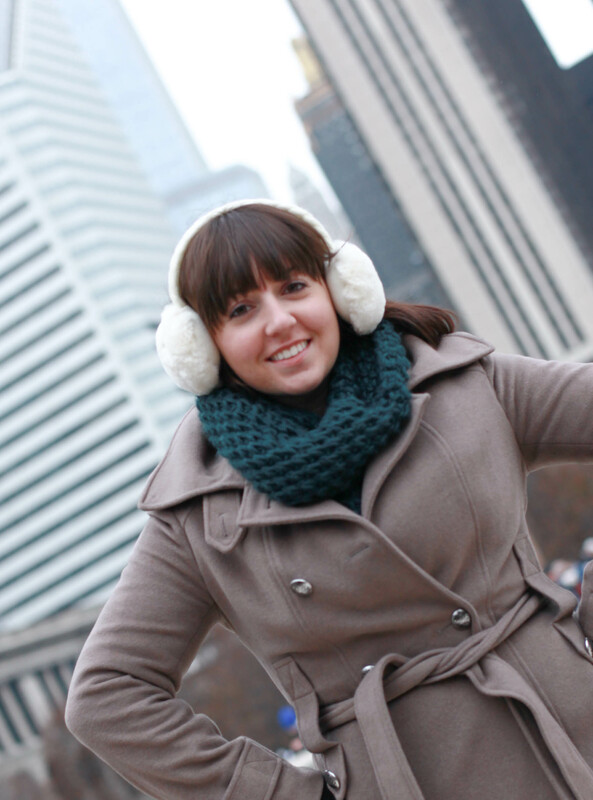 Instead, I am sharing a few photos from our trip to Chicago back in December before the holidays. 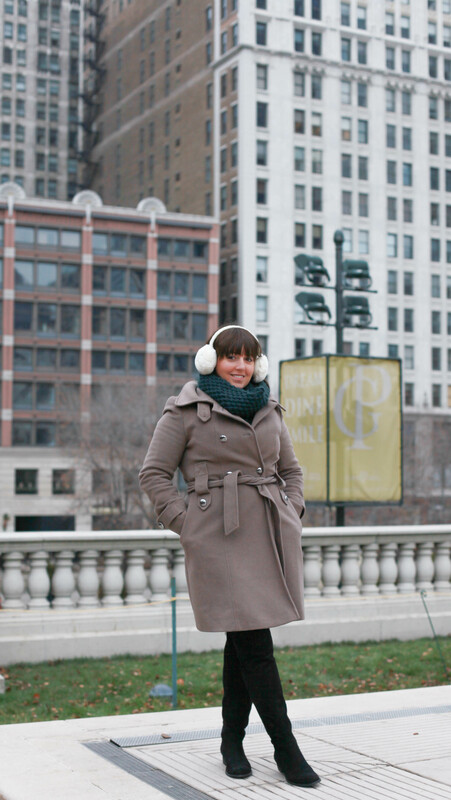 It was a very cold trip in Chicago when we were in town, but we made the best of it. As we always do, lots of walking, shopping and great food. If you have yet to make a trip to the windy city, I strongly recommend visiting at least once in your life. As for the amount of pictures this trip, it was minimal due to the cold temps and lugging around my camera the whole day. 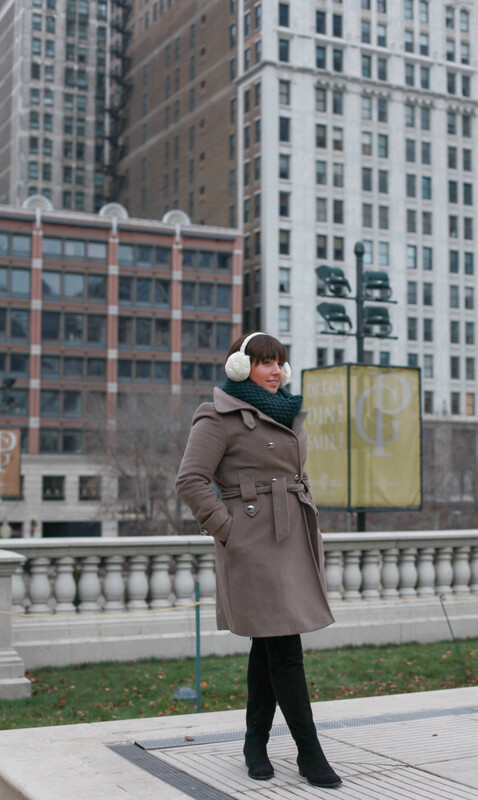 Here, I attempted to bundle up and take a few pictures at Millennium Park, the home of the infumous bean. We were planning on going ice skating until we saw the ginormous line that was not moving. We were meeting up with my parents for dinner soon so ice skating was out the door. 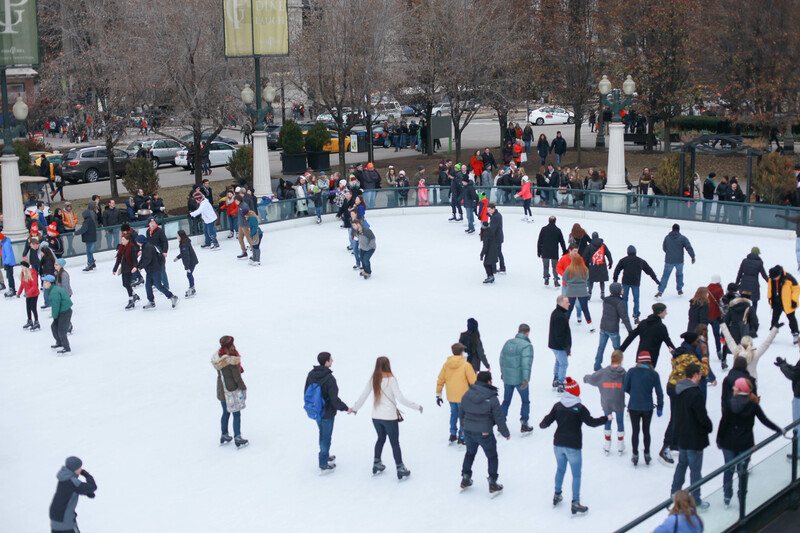 In the few minutes we were standing around the ice rink, I did witness a young couple getting engaged right on the ice. It was awesome to watch something like that happen even though I do not or will never know those two individuals. Hey, if you ever read this those two people, I wish you a lifetime of happiness and love! 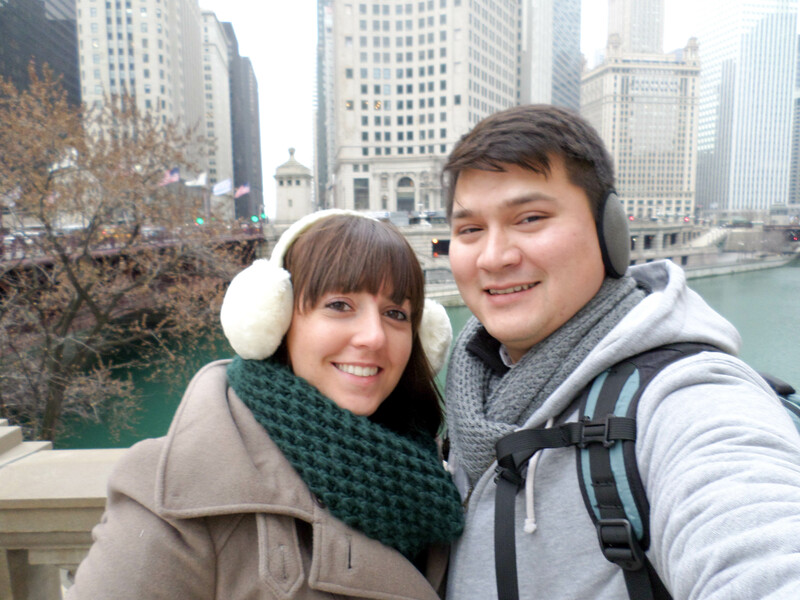 It is crazy to think it has been almost three years since we got engaged in Chicago! 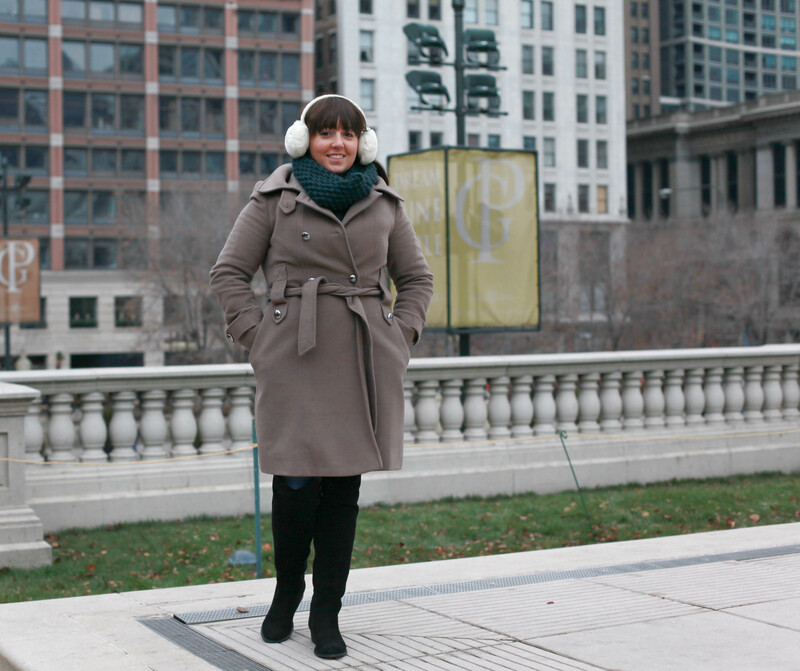 During the cold months of Chicago, it is necessary to dress in lots of layers and bundle up. That is exactly what I did here. There is more of a chill in the air which is more than likely the ‘lake effect’. You are unable to see exactly what I have on under the coat for a good reason, for me to keep warm! 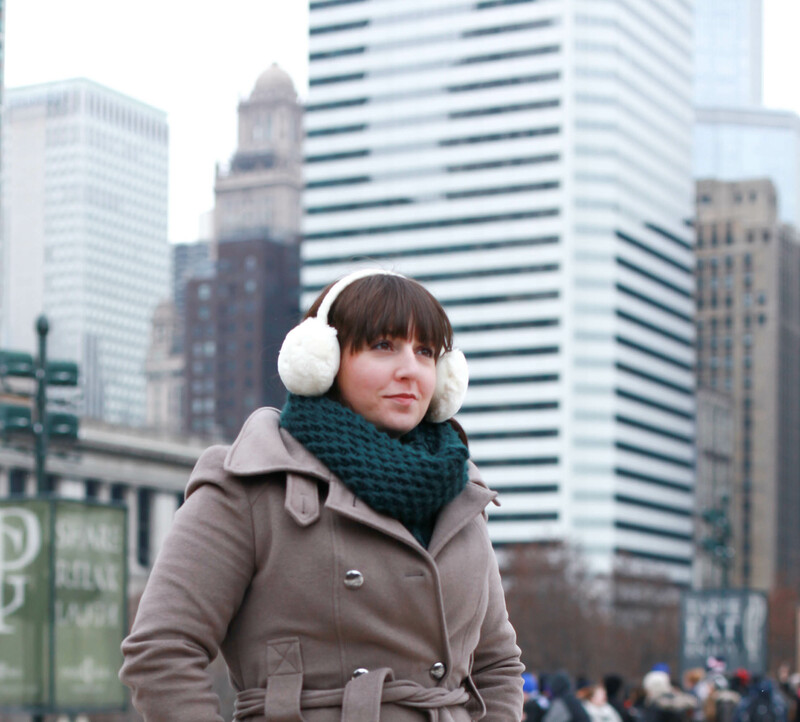 Tall boots, ear muffs, large scarf and long coat were a definite must when I was packing my bag for the trip. 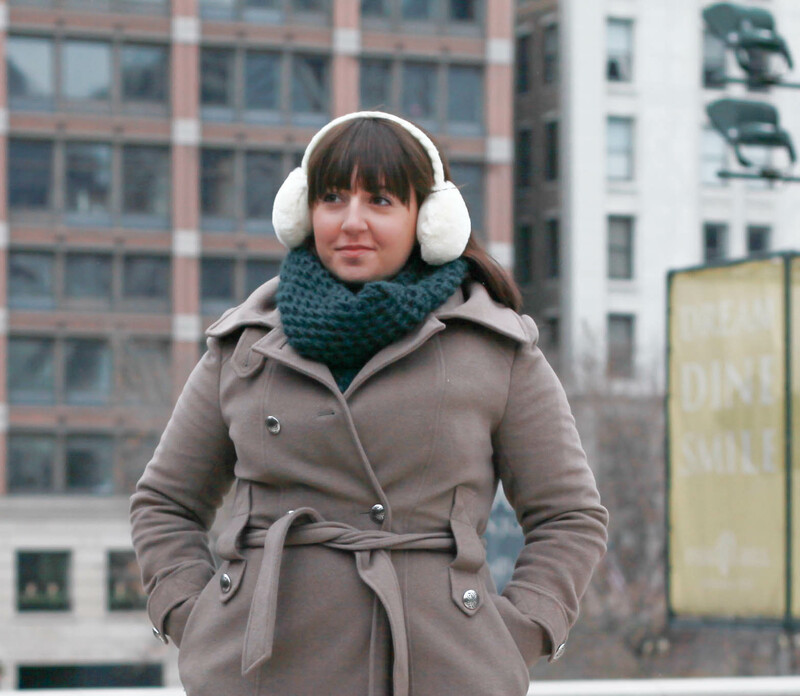 Have you been to Chicago in the winter? Most people visit in the summer, but since we live within driving distance it is an easy getaway weekend anytime of year for us. Oh and the shopping, the shopping is awesome. 🙂 My husband is a huge foodie fan so we always try new restaurants when we visit. Great food! Are you ready to plan a trip? What do you like packing in your bag to stay warm and cute at the same time?